From Thompson Square, a married twosome who knows a little something about what it’s like to overcome years of struggle in the music business and find love, Are You Gonna Kiss Me or Not? is a charming and humorous love story about coming of age, knowing where you belong, and finding the perfect person to share life with. Daniel and Casey were an unlikely couple back in high school when they came together to write music for a school event. Struggling against their differences, they dated during college, but their relationship never seemed quite right. Yet despite their personal conflict, as songwriters they had undeniable chemistry—and several hit songs. Eventually they went their own ways, both trying to make it in the music world and find true love. Years later, both Daniel and Casey are at rock bottom, still trying to find success. But when they connect again as old friends, they realize that what they needed was right in front of them all along: each other. This reading group guide for Are You Gonna Kiss Me Or Not includes an introduction and discussion questions. The suggested questions are intended to help your reading group find new and interesting angles and topics for your discussion. We hope that these ideas will enrich your conversation and increase your enjoyment of the book. A chance meeting in the hallway at the beginning of their senior year of high school ignites a spark that initially looks like it might turn into an explosion between Daniel Winter and Casey Sparkland. But when they are paired up to write a song for extra credit in one of their classes, the reality of their chemistry is undeniable. They both have big dreams for their life that don’t involve hanging onto an unpredictable high school romance. Despite their resistance and stubbornness, they cannot outrun the memories of the music they made together. Are You Gonna Kiss Me Or Not? is a story of hanging onto hope and believing in second chances. 1. What is your favorite genre of music? Are you a country music fan? Who are some of your favorite songs/artists? 2. Who was your favorite character in the book? What attitudes or actions endeared them to you? 3. As the book opens, Daniel Winter is thirty-five years old, and life hasn’t turned out exactly like he imagined. What are some common responses you’ve observed in people when life takes a surprising or disappointing turn? Do you relate to Daniel? How has your life turned out compared to the dreams you had in high school for your future? 4. Describe the contrast between how Daniel and Casey approached hopes and plans for their future as seniors in high school. Which one do you most identify with? 5. As you read the story of Daniel and Casey’s high school romance, what do you think were the main factors that kept them from staying together? 6. On page 34, Casey says: “When your heart is broken once, it has the ability to heal. But when it’s broken twice, it vows to never allow it to happen again.” What impact do you think this vow had on Casey and her relationships, especially with men? C.S. Lewis is quoted as saying: “To love at all is to be vulnerable. Love anything and your heart will be wrung and possibly broken. If you want to make sure of keeping it intact you must give it to no one, not even an animal. Wrap it carefully round with hobbies and little luxuries; avoid all entanglements. Lock it up safe in the casket or coffin of your selfishness. But in that casket, safe, dark, motionless, airless, it will change. It will not be broken; it will become unbreakable, impenetrable, irredeemable. To love is to be vulnerable.” Do you agree? Why or why not? 7. On page 82, Daniel says: “I wish there was a rulebook for living, a dummy’s guide for growing up and getting a clue.” Have you ever wished for a guide like this? Where have you turned for guidance and help when life has taken unexpected turns? 8. Burke and Daniel were brought up in very different circumstances and became very different people. Describe each man’s character qualities and how you imagine his life circumstances contributed to the formation of those qualities. 9. Casey’s mom is not shy about expressing her disapproval of Daniel. How did Daniel respond to her constant rejection and criticism? What do we learn about some of the root emotions that have fueled her anger? Do you think Daniel could have done anything to change her attitude toward him? When someone expresses rejection or disapproval to you, how do you respond? 10. On page 194, Daniel says: “It’s a weird thing to know you have everything you own in the back of your two-door and slightly beat-up Mazda Miata.” What emotions do you think he felt as he drove away from Seattle? Have you ever left behind one season of your life and simplified your “stuff” with no clear idea of what was next? How did things turn out? 11. Do you believe in love at first sight? Why do you think Casey and Daniel never lost hope about each other? 12. Bruce Springsteen was one of Daniel’s music heroes. Do you have a hero? If you met your hero, what would you want to ask them? 13. On page 238, Casey reflects on her life by saying: “I’ve always had a plan. Sometimes those plans have backfired…I did end up achieving my goals. It’s just the final results weren’t exactly what I thought they’d be.” Do you relate to this? How does this impact you as you think about your goals and plans? 14. In what ways does Casey follow in her mother’s footsteps in the area of relationships? What about Daniel’s similarities to his father’s choices? What ultimately allows each of them to break free of old vows and patterns? Are there vows or patterns of relating that you see in your life that you want to change? 15. On page 317, Casey says: “I want to believe you don’t have to be a twenty-something to start over again, and that maybe, possibly, life is all about starting over again, day after day after day.” What do you think? Discuss how believing in second chances can impact your perspective in the midst of unfulfilled dreams and broken relationships. 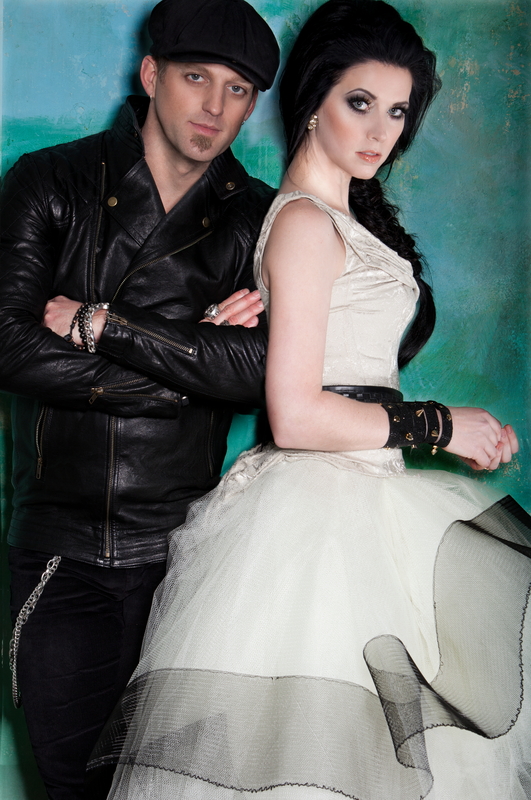 Thompson Square is an American country music duo composed of husband and wife Keifer and Shawna Thompson. 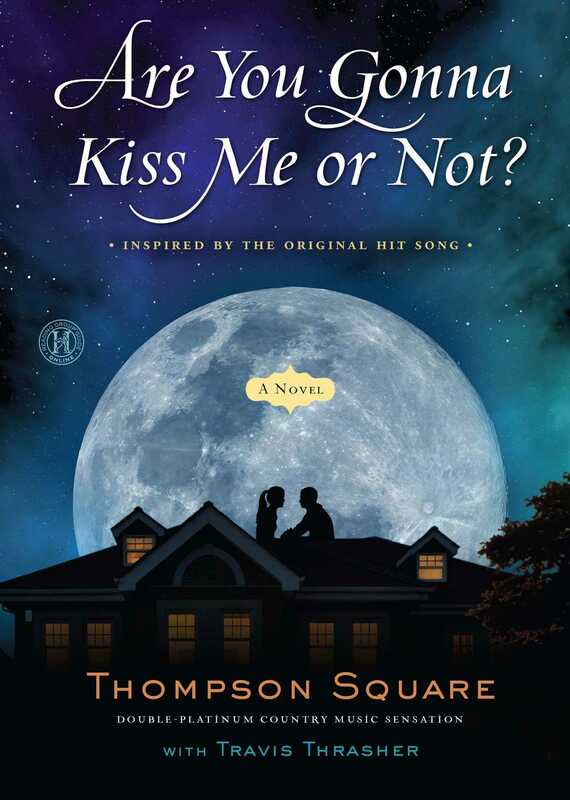 Book Cover Image (jpg): Are You Gonna Kiss Me or Not?